Outstanding goalscorers have always attracted large transfer fees. The first season of the Football League began in September, 1888. Preston North End won the first championship that year without losing a single match and acquired the name the "Invincibles". Eighteen wins and four draws gave them a 11 point lead at the top of the table. The club's success owed a great deal to the goalscoring of John Goodall and Jimmy Ross. Goodall scored 20 goals in 21 games that season. Ross went one better with 21 goals. He also scored in Preston's victory over Wolverhampton Wanderers in the 1889 FA Cup Final. All told he scored over 250 goals in only 220 appearances for the club. Jack Southworth was one of the players recruited by Blackburn Rovers. at the beginning of the Football League championship in 1888. In five years he scored 97 goals in 108 games. He also helped them win the FA Cup finals in 1890 and 1891. In 1893 Southworth was transferred to Everton for £400. Southworth went on to score an amazing 36 goals in 31 games for his new club in the 1893-94 season. G.O. Smith was another outstanding goalscorer. Smith was 5 feet 11 inches tall but was of slight build and was extremely reluctant to head the ball. However, he had a good shot and made a lot of goals for his fellow attackers with his accurate passing. Smith won his first international cap on 25th February, 1893. England beat Ireland 6-1 and Smith, who played centre-forward, scored two of the goals. After leaving Oxford University Smith became a school teacher at Lancing College. He played for the Old Carthusians in the 1897-98 season. Later he moved to the Corinthians, one of the best amateur teams in the country. James Catton pointed out: "Anyone could knock him off the ball if he could get into contact with him. But he was difficult to find, so elusive was he. His value consisted chiefly of wonderfully accurate passes to either wing; either to the inside or the outside man. And his body balance and swerve were such that when he left the arena not a hair of his head was out of place." During his time playing for Corinthians (1898-1901) he scored 113 goals in 131 games. He also had a good record for England scoring 11 goals in 20 games. Vivian Woodward, who replaced G.O. Smith as centre-forward in the England team, was also an amateur player. Over an eight year period he had scored 29 goals in 23 games (13 as captain). A record that stood until Tom Finney beat it in 1958. However, Finney played in 72 games for his 30 goals. 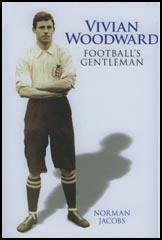 Frederick Wall, the president of the Football Association, thought that Vivian Woodward was a better player than G.O. Smith: "I am going to make a statement that may be considered startling, but as my opinion is honest, I am not concerned if it does not agree with the views of others. G.O. Smith and Woodward were both great players, but the Tottenham and Chelsea forward was the better. Why was he the better footballer? Woodward was the more versatile, the more consistent, and cleverer with his heading... And it should be remembered that Woodward... was faster than he looked, and that he had a neat trick of feinting, or what some call 'selling the dummy'. The most unselfish of forwards, he was a master-model of team work." Another outstanding goalscorer was John Devey who joined Aston Villa in March, 1891. He was 24 years old at the time and some critics claimed that he "was too old to make an impact in the Football League". In his first season he scored 34 goals in 30 league and cup games. During his time at the club he scored 186 goals in 308 appearances and helped his club to win five First Division league titles and two FA Cup Finals. John Peddie developed a great reputation for scoring goals in the Scottish League and in 1897 signed for Newcastle United in 1897. In his first full season he was top scorer with 16 league goals and helped the club win promotion to the First Division. Over a four year period he scored 73 goals in 125 matches. Peddie then moved to Second Division Manchester United and his goals helped them win promotion to the top league. Frederick Wall, the president of the Football Association, considered Steve Bloomer the best goal scorer he ever saw: "He was a great marksman, and his splendid passes were generally made with one touch. He had no time for fancy work. Bloomer, of course, made mistakes like everyone else, but he was the superior of everyone I ever saw as a scorer. A great volleyer in front of goal, he placed his ground shots at a fast pace, out of the reach of the keeper and slantwise. But the keepers used to say that it was difficult to tell which foot he would use for a shot." Steve Bloomer scored an amazing 28 goals in only 23 games for England and at that time was the only player to score four goals for England twice. 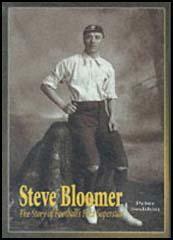 Bloomer also scored 392 goals in 599 games for Derby County and Middlesbrough. In the 1900-01 season Sunderland finished 2nd to Liverpool in the First Division championship. The team included Alf Common who was considered the best young player in England. At the end of the season, Sheffield United paid Sunderland £350 for Common. He repaid the investment by scoring the only goal in Sheffield's 1902 FA Cup Final win. Common continued to do well for Sheffield United and in the summer of 1904, Sunderland bought him back for a new record fee of £520. In February, 1905, Middlesbrough, who were in danger of being relegated from the First Division, purchased Alf Common from Sunderland for another record breaking fee of £1,000. Once again the transfer of Common had the desired impact on the fortunes of the club. On 25th February, Common scored the only goal of the game against Sheffield United. It was Middlesbrough's first away victory for over two years. Common helped to save Middlesbrough from relegation and over the next five years he scored 58 goals in 168 games. Sunderland replaced Alf Common with George Holley, who was only nineteen at the time. Holley went on to become one of the best goalscorers in the Football League. During his time at the club he scored 154 goals in 315 appearances. He also scored eight goals in ten games for England during this period. Harry Hampton joined Aston Villa in April 1904. He had a great first season scoring 22 goals in 28 games. He also scored both goals in Aston Villa's FA Cup Final victory over Newcastle United. He maintained this good form over the next ten years. Tony Matthews described Harry Hampton in his book, Who's Who of Aston Villa as: "Afraid of no one, his strong, forceful, determined and appreciated by plenty. The idol of the Villa Park faithful, Hampton was robust in the extreme. He often barged the goalkeeper... and the ball (if he had it in his possession) into the back of the net, sometimes taking a co-defender along for good measure with one almighty shoulder-charge." It is recorded that on one occasion Hampton was able to barge the 22 stone William Foulke over the line. In their book, The Essential Aston Villa, Adam Ward and Jeremy Griffin pointed out: "In an age when burly centre forwards ruled the football fields of Britain and goalkeepers lived in fear of the lawful shoulder charge, Harry Hampton was the most deadly marksman in the Football League.... He was an aggressive, whole-hearted competitor who, though often unpopular with opposing fans, was adored by the Villa faithful." Hampton's style did not go down very well with the England selectors who preferred forwards such as Steve Bloomer, Vivian Woodward, Joe Bache, Edwin Latheron, George Holley, Alf Common, George Hilsdon and Harold Halse. Despite his great goalscoring record, Harry Hampton did not win his first international cap until 17th March 1913. England beat Wales 4-3 and Hampton scored one of the goals. The following month he scored the only goal in England's 1-0 victory over Scotland. Hampton's career was halted by the First World War. He served on the Western Front and was a victim of poison gas and was unable to regain his place in the team after the war. During his time at Aston Villa he scored 242 goals in 376 appearances. Sandy Turnbull was a Scotsman who developed a reputation as a prolific goalscorer. Tom Maley, the manager of Manchester City, persuaded him to move to Manchester and in 1904 helped the club win the FA Cup Final. In three years at the club he had scored 53 goals in 110 games. He then moved to local rivals, Manchester United. He was a successful signing and his 25 goals helped the club win the First Division championship in the 1907-08 season. Turnbull also scored the only goal in the 1909 FA Cup Final. Turnbull also scored 19 goals in the club's 1910-11 championship winning side. Turnbull was tragically killed at Arras while fighting on the Western Front on 3rd May 1917. One of the best goalscorers before the First World War was Bert Freeman. In April 1908 Freeman was allowed to join Everton from Woolwich Arsenal. Tony Matthews argues in Arsenal Who's Who that this was "one of the great transfer blunders of those early years." He made his debut against Liverpool and during his first season with Everton he scored 38 goals which made him the league's top scorer. Bert Freeman scored an amazing 61 goals in 86 games for Everton before being allowed to join Burnley in 1910. He was a great success with his new club and was the league's top goalscorer in 1911-12 (32) and 1912-13 (31). Freeman also scored the winning goal in the 1914 FA Cup Final. The First World War disrupted Freeman's football career. By the time he left Burnley in 1920 he had scored 103 goals in 166 games. Overall he scored 197 goals in 293 league games. Lawrence Cotton, a local wealthy businessman, was chairman of Blackburn Rovers. He was determined to create a team capable of winning the First Division title. In 1913 Blackburn broke the British transfer record by buying Danny Shea from West Ham United for £2,000. Shea received £550 for signing for the club. In the 1913-14 season Blackburn won the league title and Shea was top scorer with 27 goals. In 1920 Bolton Wanderers paid Plymouth Argyle £3,500 for David Jack. Although only 21 he looked a great prospect for the future. In his first season he helped Bolton finish 3rd in the First Division of the Football League. Two years later Bolton reached the first FA Cup Final held at Wembley Stadium. Jack scored the opening goal in Bolton's 2-0 victory over West Ham United. Jack went on to score 144 goals in 295 games for Bolton. Another exciting young talent who emerged at this time was Syd Puddefoot. He was playing junior football in the East End of London when he was spotted by Syd King, the manager of West Ham United. Like Danny Shea he was a scoring machine and netted 107 goals in 194 games for the club. In 1922 Falkirk became the first club to pay £5,000 for a player when they signed Puddefoot. Hughie Gallacher was a highly successful centre-forward with Airdrieonians in the Scottish League. During a four year period he scored 91 goals in 111 games. In 1925 Newcastle United paid Airdrieonians £6,500 for Gallacher. He made an immediate impact and during his first season scored 23 goals in 19 games. The following season Newcastle won the First Division league title. Gallacher, who had been made captain of the side, scored 39 goals in 41 games. After scoring 133 goals in 160 league appearances, Gallacher was sold to Chelsea for £10,000. Harry Bedford was another player who scored a great deal of goals during this period. He signed for Blackpool in 1920. Bedford was the country's top goalscorer in the 1922-23 with 32 goals. He repeated the feat the following season with 34 goals. After scoring 112 goals in 169 games for Blackpool, Bedford was transferred to Derby County for £3,000 in 1925. During his time at the club he scored 142 goals in 203 games. In the 1926-27 season George Camsell, who played for Middlesbrough in the Second Division of the Football League, scored 59 goals. It was a magnificent total and commentators said it was a total that would never be beaten. However, the record only lasted one season. 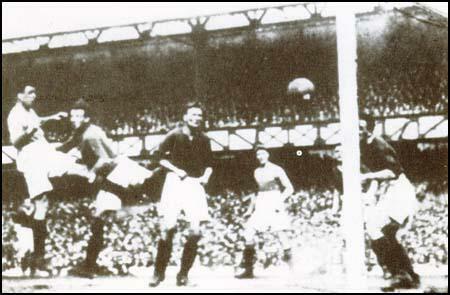 Dixie Dean scoring his 60th goal in the 1927-28 season. In March 1925 Dixie Dean was transferred from Tranmere Rovers to Everton for a fee of £3,000. Dean was one of the best signings of all times. Dean was in sensational form in the 1927-28 season. He scored seven hat-tricks that season and ended up with a record-breaking 60 league goals. Dean helped Everton win three league championships and a FA Cup final victory. During his time at Everton he scored 349 goals in 399 games. Joe Bambrick was another prolific goalscorer. A talented centre-foward, he played for Glentoran in the Irish League where he scored 44 goals in 37 appearances. Bambrick signed for Linfield in 1925. He was an immediate success and scored 81 goals for them during the 1927/28 season. In the 1929-30 season he scored an incredible 94 goals. Bambrick also scored all the goals in a 4-3 Linfield victory over Ballymena United in the 1930 Irish Cup Final. Linfield fans used to chant: "Head, heel or toe, Slip it to Joe". Joe Bambrick also won eleven international caps for Northern Ireland. He actually scored six goals in one game against Wales at Belfast in February 1930. This is still a world record for an international game. In December 1934 Bambrick joined Chelsea for a fee of £2,500. Bambrick is reported to have been given a signing on fee of £750. According to Tony Matthews (Who's Who of Chelsea): "Although he had to work hard and long to compete earnestly in League football with Chelsea, he still averaged more than a goal every two games. Strong, hard to knock off the ball, he could shoot with both feet and was also powerful when using his head." Gordon Hodgson was another impressive centre-forward scoring 240 goals in 378 games for Liverpool between 1928 and 1936. Whereas Tom Waring, who played for Aston Villa during this period, scored 159 in 215 appearances. Despite the form of Dixie Dean, Joe Bambrick, Gordon Hodgson, Tom Waring and George Camsell during this period, it was another centre-forward, Jimmy Hampson, who established the record for scoring the fastest century of goals (101 in 97 games). By the time he was tragically killed in 1938 he had scored 248 goals in 361 games for Blackpool. At the age of 17 years old Tommy Lawton replaced Dixie Dean as Everton's centre-forward. Lawton also took over from Dean in the England team. Lawton who was only 20 years old in September 1939, was at the peak of his form during the Second World War and scored 152 goals in 114 games during the conflict. He also netted 24 times in 23 wartime internationals. During his career he scored 235 goals in 393 games. Derek Dooley signed for Sheffield Wednesday in 1947. Ivan Ponting pointed out that: "Though he was quick, bullishly strong and utterly fearless when fighting for the ball, the 6ft 3in spearhead appeared cumbersome and poorly balanced when a degree of finesse was required." It was not until 11th March 1950 that Dooley made his debut for his new club against Preston North End. Soon afterwards he started his National Service with the Royal Air Force. He did not return to Hillsborough until October 1951 by which time the club was near the bottom of the Second Division. His first game after returning from the RAF was against Barnsley. Dooley scored two goals in the match. This was followed by five goals in Wednesday's 6-0 win over Notts County and all four in the 4-0 victory over Everton. By the end of the 1951-52 season, with Sheffield Wednesday top of the table, Dooley had contributed almost half the Owls’ goals, 46 in just 30 games. Ivan Ponting argued that: "Fans who previously had denigrated his clumsiness now hailed the savagery of his right-foot finishing, his fearsome aerial prowess and a willingness to strike from any angle which yielded several seemingly impossible goals. Though arguments continued to rage about the perceived rashness of the young warrior whose untempered aggression risked injury where more polished performers would hold back, his tigerish chasing of apparently lost causes was applauded". Brian Glanville, the football journalist, had doubts about Dooley's ability to make it in the First Division. "His style did not appeal to everyone, and he was frequently booed when Wednesday played away from home. With his bulk, his huge feet, his ungainly movement, abrasive approach to the game and his perpetual harassing of goalkeepers, Dooley was always a controversial figure." Derek Dooley came in for some rough treatment at the beginning of the next season. After three games in the First Division, Eric Taylor, the club manager left Dooley out of the team against Charlton Athletic "to emphasise our protest against the rough treatment he was getting from defences and for the marked-man attention from referees." Liverpool, the last side to play Wednesday, were incensed by the suggestion and replied: "Dooley got no more than he gave". Another reason why Dooley was dropped from the team was that he had failed to score in his opening three games. However, Eric Taylor recalled him into the side after only one game in the reserves. Dooley rewarded his manager by scoring 16 goals in 26 games and journalists began talking about playing in the forthcoming international games. On 14th February 1953 Sheffield Wednesday played Preston North End. As the football journalist Brian Glanville pointed out: "At Deepdale, the Preston North End ground, he was pursuing a long pass from the clever little Albert Quixall, knowing that the advancing goalkeeper, George Thompson, was more than likely to get there first. In the event, Thompson crashed into Dooley just as he made contact with the ball, breaking the centre-forward's leg in two places." After nine weeks in Preston Royal Infirmary, it was discovered that he had gangrene. It seems that he had been infected through a cut sustained before the collision. Derek Dooley was operated on and as he later recalled that when he regained consciousness he discovered that his right leg had been amputated "six inches from the top because the gangrene had already reached my knee joint and beyond". At the age of 23 Dooley's football career was over. He had the impressive record of scoring 64 goals in 63 games. Perhaps the name which was most prominent in football circles during 19O2-3 was that of Vivian Woodward. G.O. Smith had taken his well-earned laurel wreath into seclusion, and an anxious eye was being cast round for his successor. Few thought he was to be found among the ranks of amateurs until the Spurs brought to light young Woodward, and England decided that what was good enough for the London Cup-fighters was good enough for her. He is a player with a great future before him. Though built somewhat on the light side he is clever and tricky, a master of the art of passing. It is a 1,000 pities that his lack of weight renders him a temptation which the occasionally unscrupulous half-back finds himself unable to resist. His record of goals both in League matches and in Internationals is a flattering one, for, all said and done, the most important duty of a centre forward is to find the net, and find it often. Young players who wish to make a name for themselves as forwards would do well to watch such a player as Mr. G. O. Smith. In him they will see one of the finest centre-forwards England has ever had to represent her in International matches. He is one of the most brilliant and gentlemanly players who ever stepped on to a football field. He has never been known to do anything that was not scrupulously fair, nor to charge foully. He plays the game with ease and gracefulness; he is clever with the ball; he passes accurately; and he is one of the best shots at goal I have ever seen. When he shoots he seldom fails to hit the mark, and he is, above all, unselfish. There you have the ideal forward. I am going to make a statement that may be considered startling, but as my opinion is honest, I am not concerned if it does not agree with the views of others. G.O. Smith and Woodward were both great players, but the Tottenham and Chelsea forward was the better. Why was he the better footballer? Woodward was the more versatile, the more consistent, and cleverer with his heading. Woodward, who was an architect and surveyor, was a strong-looking young man of twenty-three when he came out with Tottenham Hotspurs. Very nearly 5 ft. 11 in., he weighed at that time 11 st. I rather fear that the strenuous game he played took a lot of vitality out of him. Strenuous is used in the sense of sapping his own strength rather than in applying it outwardly to his opponents. Force was never his motto. A man who had perfect control of the ball with either foot, he was a wonderful judge of the moment to make the pass to a chum who would foresee where Woodward would next be for the return pass. His adroitness with either the inside or outside of his foot was only equalled by the accuracy of his heading. With the exception of Alec Turnbull ("Sandy"), of Manchester, and Dean, of Everton, in these latter days, Woodward was as dangerous near goal with his head as any man I have seen. And it should be remembered that Woodward - they called him "Jack" - was faster than he looked, and that he had a neat trick of feinting, or what some call "selling the dummy." The most unselfish of forwards, he was a master-model of team work. He must have scored hundreds of goals. In the 23 matches of this South African tour in 1910, he was the chief scorer with 32 goals, but there were others who distinguished themselves. Now let me say that Woodward was soft-spoken, courteous, modest; he never talked about his football, and seldom discussed that of his mates. If he could not speak well of a man he preferred silence. He was devoted to his mother, whom he often took to matches, and did not leave her until she was comfortably seated. In many respects he was a man who stood alone, combining unsuspected strength of mind and body with a suavity of manner. His personality and play left an abiding impression on the football of South Africa, and there have been not a few who have talked about the seed that was sown by Woodward. The boys, especially those at school, watched him closely. The harvest was gathered some fourteen years after, in 1924, when South Africa sent a team of amateurs to England. Well they played, for our elevens, representing the strength of English amateurism, could only win the international contests at Southampton and Tottenham by 3-2. I am not so sure that the F.A. side ought to have won at Tottenham. A draw would have more justly reflected the merits of the teams. Woodward was never a man who lived out of the game. He lived for the game, although he also played cricket. The Football Association found it difficult to get a bill of expenses from him. When the European war broke out he was one of the first to join the Football Battalion of the 17th Middlesex. He was, too, one of the first casualties, but he survived, attained the rank of major, and afterwards devoted himself to farming in Essex, a county that he knew well in his early days. The first time I met G.O. Smith was in the grounds of the Crystal Palace, when I was introduced to the famous Oxonian by Mr. J.J. Bentley, and he struck me as rather frail in physique, gentle in manner, and kind in disposition. On the field he was courageous and most unselfish. In his case, mind triumphed over muscle by quickness of decision, the swiftness of his movements, the perfect simplicity of his style, the swerve and balance of his body, and his neatness of footwork. Anyone could knock him off the ball if he could get into contact with him. But he was difficult to find, so elusive was he. His value consisted chiefly of wonderfully accurate passes to either wing; either to the inside or the outside man. And his body balance and swerve were such that when he left the arena not a hair of his head was out of place. He (Devey) could play in any forward position and there is no doubt that he was one of the finest goalscorers in the country in the 1890s. A close dribbler with good pace (when required), Devey was alive to every movement on the field and possessed the rare gift of "intelligent anticipation". He never lacked initiative, but was a strong believer in combination, bringing in his fellow forwards and half-backs into the game as often as possible. He was exceptionally clever with his head as he was with both feet and often scored goals from distance when he caught the opposing goalkeeper off guard. The dynamism and desire which earned Dooley his unique niche in Sheffield soccer folklore – no one else has been revered to the same degree by both Wednesday and United fans – was evident from childhood in the steelworker's son who learned his football on the streets and on the unforgiving surface of the local recreation ground, where grass was hard to spot among the flattened ash and sharp cinders. He always yearned to play for Wednesday and, even after leaving school at 14 to work in a hearing-aid factory, despite having passed his 11-plus exam, he did not abandon his dream. Instead Dooley clawed his way up through the ranks of junior teams, excelling for Sheffield YMCA before joining Lincoln City as an amateur in his mid teens. He caught the eye of an Owls scout and was recruited by the Hillsborough club, turning professional in 1947, not long after his 17th birthday. Soon he was netting regularly for Wednesday's minor sides, but when offered senior opportunities – one in the Second Division in 1949/50 and another in the top flight a season later – he performed disappointingly. Though he was quick, bullishly strong and utterly fearless when fighting for the ball, the 6ft 3in spearhead appeared cumbersome and poorly balanced when a degree of finesse was required. But the picture changed dramatically in October 1951 when, with his team languishing dangerously low in the Second Division table, manager Eric Taylor called up Dooley to face Barnsley at Hillsborough. The raw but eager 21-year-old responded with a double strike which beat the Tykes, then set off on a phenomenal goal rampage which carried the hitherto hesitant Owls to the divisional championship. After a mere dozen appearances he had registered 24 times, including five in the annihilation of Notts County and four against Everton, and by season's end his tally was a barely believable 46 goals in 30 games. Fans who previously had denigrated his clumsiness now hailed the savagery of his right-foot finishing, his fearsome aerial prowess and a willingness to strike from any angle which yielded several seemingly impossible goals. Though arguments continued to rage about the perceived rashness of the young warrior whose untempered aggression risked injury where more polished performers would hold back, his tigerish chasing of apparently lost causes was applauded, and the strains of "Dooley, Dooley's there" echoed around the Hillsborough terraces to the tune of the Guy Mitchell hit of the day "My Truly, Truly Fair". Still there were doubts about how the ungainly barnstormer would fare among the élite, and when he was goalless as Wednesday struggled through their opening Division One fixtures of 1952/53, the "I told you so" brigade was out in force. But boss Taylor remained loyal, alleging a vendetta against his prodigy by opponents, rival fans and even referees, and soon his faith was justified as Dooley's touch returned with a vengeance, with 16 goals against the cream of the League's defences between September and February. But just as talk of an international call-up became increasingly insistent, disaster struck during Sheffield Wednesday's clash with Preston North End at Deepdale on Valentine's Day. As he chased a through-pass from Albert Quixall, Dooley bounced off the goalkeeper George Thompson and fell in a heap. A broken right shinbone was diagnosed, a serious setback but hardly one of career-threatening proportions until a small cut at the back of his calf became infected. Within two days gangrene set in, the leg was amputated to save his life, and an artificial limb was fitted to the six-inch stump.